Much of that law is, directly or indirectly, European in origin and will, in theory, cease to apply in and to the UK when it leaves the EU. In practice, a combination of unilateral action by the UK and transitional arrangements (agreed or unilateral) should mitigate to a significant extent the legal effects of Brexit in this area. In due course, the UK's aspiration is to conclude a new relationship agreement with the EU that would largely replicate on a permanent basis the pre-Brexit regime. The foundation of the EU and its unique legal order are the various treaties entered into by the Member States. As a matter of international law, the UK is bound by these treaties for as long as it is a party to them. However, EU law only produces effects in the UK's domestic legal order because an Act of Parliament – the European Communities Act 1972 – says it does; the 1972 Act is the pipe through which EU law flows into UK law. The UK's notification under Article 50 TEU has set in train a process by which the UK will cease to be bound by the treaties, cutting off the flow of EU law at its source. Just as the UK's entry into the EU's forerunner was given domestic effect by statute, so will the UK's withdrawal. Two Acts of Parliament will be of central importance and are discussed briefly below (the first is already law; the second has not even been introduced to Parliament yet, and only will be if the withdrawal agreement is ratified). The European Union (Withdrawal) Act 2018 received royal assent in June 2018. On the day of the UK's exit from the EU, it will repeal the 1972 Act, dismantling the mechanism by which EU law takes automatic effect in the UK. At the same time, in order to the avoid the legal vacuum that would otherwise result from the wholesale and immediate disapplication of EU law, the 2018 Act will preserve and convert into domestic UK law all EU law as it applies to the UK at the moment before exit. However, not all of this retained EU law will function as it did while the UK was a Member State. This is particularly the case where the law in question imposes reciprocal rights and obligations on Member State courts: if the UK is no longer a Member State, it can no longer require or expect reciprocal treatment. As discussed below, the current EU regime on jurisdiction and judgments is an example of this kind of law. The 2018 Act accordingly provides Ministers with powers to amend retained EU legislation or to revoke it entirely. A Withdrawal Agreement Implementation Act will be needed to give effect to in UK law to any withdrawal agreement ratified by the UK and EU legislatures. One of the major functions of the withdrawal agreement would be extend the application of EU law to the UK for the duration of a transitional period, notwithstanding that the UK would have ceased to be a Member State on 29 March 2019. Accordingly, a Withdrawal Agreement Implementation Act would, among other things, suspend the revocation of provisions in the 1972 Act that give domestic effect to EU law. The current EU rules for the determination of governing law will continue to apply to and in respect of the UK as they do now. Their nature and operation means they can easily be transposed into UK law and still produce the same effects in the UK and in the EU27. There should be no impact on existing English governing law clauses and no reason for commercial parties not to continue to choose English law to govern their contracts. The current EU rules for the determination of which country's courts have jurisdiction over a dispute and the enforcement of resulting judgments are premised on Member State reciprocity; they cannot unilaterally be domesticated by a non-Member State and continue to produce the same effects. Alternatives are therefore required. The UK is acceding to the Hague Convention on Choice of Court Agreements, which is similar to (though less comprehensive than) the current European regime but does at least cover the 27 remaining Member States (as well as Singapore, Mexico and Montenegro). The UK has also said it wishes to accede in its own right to the Lugano Convention (which extends the basic framework of the EU regime to Iceland, Norway and Switzerland) and to negotiate with the EU27 a new post-exit agreement that replicates to the fullest extent possible the current EU regime. iii The immediate term: deal or no deal? If the withdrawal agreement negotiated by the UK and EU is ratified, the UK would still leave the EU on 29 March 2019 but EU law would continue to apply in and to the UK during a transitional period. That period would last until at least 31 December 2020 and, if the parties agree, could be extended for up to another two years after that. Legal proceedings started in the courts of the UK and the EU27 at any time before the end of the transition period would be subject to grandfathering provisions; the EU rules would continue to be applied to questions regarding jurisdiction and to the reciprocal enforcement of judgments across the UK and EU27. However, jurisdiction agreements with a UK element signed before the end of the transition period would not be grandfathered. That means they would not be upheld by EU27 courts in accordance with the current EU rules. If no withdrawal agreement were to be concluded, the UK would leave the EU on 29 March 2019 and EU law would immediately cease to apply. Any mitigation of the legal consequences of this would take the form of unilateral action by each side. The UK has, for some time, been signalling a programme of proposed steps. Some mimic provisions of the draft withdrawal agreement. For instance, legal proceedings started before exit would continue, after exit, to be treated by UK courts in accordance with EU rules. But, of course, any such unilateral action by the UK could only bind courts and parties in the UK. The EU has shown little or no sign of taking equivalent action, beyond warning court users that the current rules will cease to apply and, if they wish to retain the benefit of EU rules, they need to reduce or eliminate their exposure to UK laws and courts. Whether the EU would maintain that approach in the event a no-deal Brexit comes to pass is an open question. Doubt in this area increases the importance of the one cross-border instrument in the current regime to which the UK can unilaterally accede: the Hague Convention on Choice of Court Agreements. iv Post-exit: a new relationship agreement? What would that new relationship look like from a civil justice cooperation perspective? The UK government has said since the summer of 2017 that it wants to replicate the effects of the current regime. The EU has, to date, been more guarded, expressing a hope for cooperation only in the fields of family and criminal law. The parties' joint position was set out in a political declaration on the framework for a future relationship, published in November 2018 alongside the final version of the withdrawal agreement. The political declaration does not mention civil justice cooperation. However, that does not mean that there is no prospect of an agreement. The Lugano Convention is a precedent for EU civil justice cooperation with third countries, one that the UK will seek to join post-exit and use as a basis for further and deeper cooperation with the EU. Where the laws of different countries could govern a contract or a dispute relating to a non-contractual obligation, the properly applicable law is determined according to two different EU rules, as explained below. The governing law of a contract is determined according to the provisions of Regulation (EC) No. 593/2008 (commonly known as the Rome I Regulation). As an EU regulation, Rome I has 'direct effect', which means that it operates in and binds Member States (including the UK) automatically, without the need for Member States to pass their own implementing legislation. Where a contract was entered into before 17 December 2009, Rome I's predecessor, the Rome Convention, applies in the determination of its governing law. The purpose and effect of the Convention are broadly similar to Rome I, but its legal character is different and it does not have direct effect. Instead it was implemented in the UK by means of the Contracts (Applicable Law) Act 1990. The cornerstone of Rome I (and the Rome Convention) is party autonomy: counterparties are free to choose the law they wish to govern their contractual obligations. This default rule is subject to various overriding exceptions that are intended to protect the weaker party in certain types of contracts (for example, contracts for the carriage of passengers, consumer contracts, employment contracts and insurance contracts), to respect public policy imperatives in the law of the forum and to seek to restrain forum-shopping (such that, where the parties have chosen one country's law to govern their contract but all the other elements of the situation at the time they made that choice point to a different country, certain mandatory provisions of that country's law may be applicable). Where the parties have not made an express choice of law in their contract, Rome I sets out how it should be determined. In addition and subject to the overriding rules described in the paragraph above, various other situations are catered for. For example, in a contract for the sale of goods, the governing law shall be that of the country where the seller has his or her habitual residence. And in a contract for the provision of services, the governing law shall be that of the country in which the service provider has his or her habitual residence. Importantly (particularly in the context of Brexit), Rome I is of 'universal application': a Member State court is bound to apply whichever law Rome I dictates should apply in the particular circumstances; it is irrelevant whether that law is or is not the law of a Member State. Regulation (EC) No. 864/2007 (the Rome II Regulation) provides for the determination of the governing law of non-contractual obligations. It has been in force across the EU since 11 January 2009 in respect of events giving rise to damage since that date; like Rome I, it has direct effect in the Member States. The Rome Regulations (or their substance) will continue to apply in the UK post-Brexit and their application will produce the same results as pre-exit. This will happen whether or not the UK and EU conclude a withdrawal agreement. The reasons for this are as follows. If the withdrawal agreement is signed, its terms provide for Rome I and Rome II to continue to apply as now in respect of contracts concluded before the end of the transition period. If there is no withdrawal agreement, or alternatively after the end of the transition period, the regulations are examples of 'direct EU legislation' that will be incorporated into UK law on exit day (or after the transition period, as the case may be) by operation of Section 3 of the Withdrawal Act. The regulations will function correctly as domestic law post-exit because membership of the EU is not a precondition to their operation. The UK government has laid before Parliament secondary legislation that would make various generally minor amendments to the text of the Rome regulations to facilitate their practical operation post-exit. Domestication of the Rome regulations is not without potential complication. Most notably, the question arises of how the English courts will in future construe their provisions. The regulations are native to EU law, the ultimate arbiter of which is the Court of Justice of the European Union (CJEU). Member State courts are obliged to interpret EU law in line with the CJEU's jurisprudence. Post-exit, however, the UK's courts will not be 'bound by any principles laid down, or any decisions made, on or after exit day by the European Court'.3 Those decisions will instead be merely a discretionary consideration. That opens up the possibility of a divergence between EU27 and UK courts in the interpretation of an otherwise shared set of laws. Courts of the remaining Member States will continue to apply Rome I, which, as already noted, generally respects the choice of law made by the parties. Even where other rules in Rome I are engaged, they are blind to the country the laws of which their application prescribes. In short, whether or not the UK is inside or outside the EU will make no difference to the operation of Rome I. Meanwhile, an English court is very likely to continue to uphold an English choice of law clause, because Rome I will become part of the UK's domestic law post-exit. EU law underpins the current position. The principal instrument relating to jurisdiction in civil and commercial matters (as well as the enforcement of resulting judgments) is the Recast Brussels Regulation (Brussels Recast). It applies to proceedings started on or after 10 January 2015 in EU Member States. Where proceedings began before that date (but after 1 March 2002), the original Brussels Regulation (Brussels I) applies. A near-duplicate of Brussels I, the Lugano Convention 2007, applies as between the EU and three of the EFTA states: Norway, Iceland and Switzerland. The basic rule under these instruments is that a defendant should be sued in the European state in which he or she is domiciled. This basic rule is subject to various exceptions, the most significant of which for present purposes is found only in Brussels Recast: where the parties have reached an agreement to confer jurisdiction on a specific Member State's courts, only those courts may entertain proceedings; any other Member State court in which proceedings are sought to be brought must decline to hear them. Where the European regime does not apply (e.g., because the claim in question does not relate to a civil or commercial matter; is, like arbitration, specifically excluded from its scope; or because the defendant is resident in a state not a party to the European regime), the common law rules apply. According to these rules, the jurisdiction of the English court is founded by service of process. If a person can be served (either as of right where a person is within the jurisdiction, or with the permission of the court where the person is outside the jurisdiction), then the court may (not must – in comparison with the European regime) hear a claim against them. There is one other relevant instrument that takes effect in the UK as EU law: the Hague Convention on Choice of Court Agreements 2005. Under the terms of the convention, the courts of contracting states are bound to uphold qualifying exclusive jurisdiction agreements that nominate the courts of a contracting state. The judgments in the resulting cases are then reciprocally enforceable in contracting states. The EU acceded to the convention on behalf of the Member States. The other contracting states are Mexico, Singapore and Montenegro. Three other states have signed the convention but not yet ratified it: China, the United States and Ukraine. When or whether these states will ratify and accede to the convention is unclear. The convention applies only to civil and commercial matters. 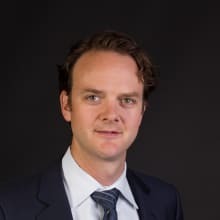 That restriction also applies to Brussels Recast and the Lugano Convention, but the concept is more narrowly drawn in the convention; competition law claims, tort claims, consumer contracts and some insurance contracts are excluded from its scope. The convention applies only to agreements concluded after its entry into force in the state whose courts are, by the agreement, given exclusive jurisdiction. That is 1 October 2015 for Mexico and the 28 current Member States; 1 October 2016 for Singapore; and 1 August 2018 for Montenegro. Finally, the convention is a relatively new instrument and its provisions are, as yet, untested in the courts of contracting states. For the duration of the transition period, the regime outlined above will continue to apply to and in the UK. Insofar as the regime binds only Member States, plus the UK, that is straightforward. The potential problem comes for those parts of the regime that involve third countries: the Lugano Convention and the Hague Convention. The UK would be bound to uphold those instruments by virtue of the withdrawal agreement but the non-EU states, not being parties to the withdrawal agreement, could not be obliged to reciprocate and continue to treat the UK as if it were still a Member State. After the end of the transition period, those parts of the EU law regime relating to jurisdiction would continue to be applied by UK and EU27 courts to proceedings begun before the end of transition. The withdrawal agreement does not provide for jurisdiction agreements concluded before the end of transition to be upheld post-transition in accordance with EU law. They would fall to be treated by the English courts in accordance with the common law rules (which generally seek to uphold a clearly expressed choice of forum by the parties) and in the EU27 in accordance with Brussels Recast. The EU rules do not automatically uphold a jurisdiction clause in favour of a non-Member State. The UK government has confirmed that it would not unilaterally apply the current EU law regime in the event of a no-deal departure from the EU. That is because the EU law system relies on reciprocity between Member States. A unilateral adoption of the rules by a country no longer part of the EU would have led to a lopsided regime: the English courts would have continued to behave as if the UK was a Member State, accepting jurisdiction or deferring to the jurisdiction of other Member State courts in accordance with the rules. But those other Member State courts would not have treated the UK similarly. As explained above, the UK is currently bound by the Hague Convention by virtue of its membership of the EU; it will cease to be bound when it leaves the EU. The UK government has said since 2017 that it would take steps to ensure that the UK continues to participate in the convention after Brexit. To that end, the UK deposited its instrument of accession with the relevant authority on 31 December 2018. In accordance with the convention's terms, it will enter into force for the UK in its own right on 1 April 2019. Assuming the UK leaves the EU on 29 March 2019, there will be a two-day period when the UK is not a party, in any capacity, to the convention. The UK government has sought to deal with this problem with a short piece of secondary legislation. It provides that UK courts should deem the convention to be in force for the UK during the 'gap' in coverage. The legislation also seeks to assure continuity of coverage by providing that there be no difference in the treatment of jurisdiction agreements concluded during the two distinct periods of UK adherence to the convention. However, there is no guarantee that the courts of other contracting states will adopt a similar approach. In addition, from a substantive point of view, the Lugano Convention is a less sophisticated instrument than Brussels Recast. This is because its terms mirror Brussels Recast's immediate predecessor, Brussels I. Most significantly, that means Lugano does not accord exclusive jurisdiction agreements the primacy they now enjoy under Brussels Recast. Under Brussels I and Lugano, the rule is that the court before which a claim is first brought has the right to rule on its own jurisdiction, even where the parties had agreed that they wanted another court to have jurisdiction. That rule facilitated a litigation tactic whereby one party could frustrate or delay the claims of their counterparty by issuing proceedings pre-emptively in a court in which cases are known to move slowly. That tactic was commonly referred to as the 'Italian torpedo'. The most reliable way to thwart it was to issue proceedings in the desired court before a would-be opponent had a chance to issue in a slower jurisdiction. One unfortunate side effect of this race between the parties to issue a claim in their preferred court was to limit the scope for alternative dispute resolution and early settlement. likely subject to significant transitional arrangements in respect of arrangements entered into before the UK's formal exit in March 2019 (and perhaps up to the end of any subsequent transitional period). First of all, a party can only sue in a Member State court if that court has jurisdiction under the EU rules. In other words, a jurisdiction clause that merely confers non-exclusive jurisdiction on the English courts does not, in and of itself, automatically confer a right to sue in another Member State court. Second, it is in the nature of a non-exclusive jurisdiction clause that parties have a choice where to start a claim. The result might be that a party is obliged to defend proceedings in a jurisdiction it might rather have avoided – the EU rules require Member State courts to defer (in the first instance, at least) to the court first seised. With the UK outside the EU, there might be greater potential to enlist the help of the English court in resisting litigation overseas, but that would also involve extra time and cost (with no guarantee of success). Third, in the event that a party chose to sue in England (or was unable to sue elsewhere), the fact of the non-exclusive jurisdiction clause might impair its ability easily to enforce the resulting English judgment in the EU27, Singapore, Mexico or Montenegro. These states (and the UK, post-exit) are parties to the Hague Convention by which the reciprocal enforcement of certain court judgments is facilitated; non-exclusive jurisdiction clauses fall outside the convention's scope. EU law underpins the current position. The regime for enforcement is contained in the instruments relating to jurisdiction, which are considered in Section IV. Under Brussels Recast, the judgments of Member State courts can be exported relatively quickly and easily to other Member States. Assuming certain basic conditions are met, Member State courts will recognise and enforce each other's judgments as if they had been made domestically. The process for enforcing a Member State court judgment in another Member State is essentially administrative. A judgment creditor obtains a standard form certificate from the court that gave the judgment and then serves this certificate, along with the judgment itself and translations, on the judgment debtor in another Member State. The judgment creditor can then enforce his or her judgment using all the tools available to a domestic judgment creditor in the Member State of enforcement. The process is slightly more long-winded under the Lugano Convention, but nevertheless represents a considerable saving of time over the cross-border enforcement arrangements, such as they were, that existed before the relevant EU law. For the duration of the transition period, the current EU enforcement regime would continue to apply to and in the UK as described above. After the end of the transition period, the regime would continue to have some application: the UK and EU27 Member States would enforce each other's post-transition judgments in accordance with current EU law, provided that they related to proceedings begun before the end of transition. The UK could seek to replicate, to a greater or lesser extent, the existing regime. The points made in respect of these options in Section IV apply equally to enforcement. In the twentieth century, the UK entered into bilateral treaties for the mutual recognition and enforcement of judgments with Austria, Belgium, France, Germany, Italy, the Netherlands and Norway. These treaties (and those with certain other non-European states, mostly Commonwealth territories) are given legal effect in the UK by the Foreign Judgments (Reciprocal Enforcement Act) 1933 (the 1933 Act) and related statutory instruments. Insofar as it relates to the European countries listed above, the 1933 Act has been superseded for nearly all purposes by the current European regime. It continues to have a residual application in respect of judgments that fall outside the scope of the European regime (for instance, where a judgment is given in a claim that is not a civil or commercial matter). There are also considerable limitations to the scope and operation of the old bilateral arrangements. As well as applying only to seven of the 31 other EU and EFTA states, the regime only applies to money judgments. It is also less creditor-friendly: before a qualifying judgment can be enforced, it must first be registered in the enforcing state's courts. Even then, there is considerable scope for a judgment's registration and enforcement to be set aside, for instance on the ground that the foreign court did not, according to the rules of the enforcing court, have jurisdiction over the judgment debtor. Judgments obtained in the English courts up until 29 March 2019 will be fully enforceable in accordance with the current European regime. If the withdrawal agreement is signed, that deadline will be extended until 31 December 2020 (and perhaps up to two years after that, in accordance with the transition period extension provisions of the agreement). In the event of a no-deal Brexit, or after the end of the transition period if there is a deal, there is considerable incentive for EU Member States to maintain the current regime, or a version of it, so that their local judgments continue to be easily enforceable in the UK. At the time of writing, accession by the UK to the Lugano Convention (which would require the consent of the EU, as well as Norway, Iceland and Switzerland) would go a long way towards achieving this objective. Further and in any event, the Hague Convention, which the UK will become a party to independently of the EU on 1 April 2019, will provide another post-Brexit means by which English judgments in disputes arising from qualifying exclusive jurisdiction agreements will continue to be enforceable in Member States. The law of the arbitral process. This will be the law of the seat, and where the parties have not expressly identified a seat the court will determine it on the basis of the parties' agreement and all the relevant circumstances. The law of the substance of the dispute. In most cases, this will be the law that the parties have by their contract selected to govern their obligations. Where the parties have adopted institutional rules for their arbitration, these will guide the tribunal in the event that there is no express choice of law. In the absence of a set of institutional rules or other agreement between the parties, Section 46 AA 1996 states that the tribunal shall apply the law determined by the conflicts of laws rules which it considers appropriate. This affords a tribunal a wide discretion, although in most cases where the seat is London it is likely that a tribunal will apply English rules. These are in the Rome I Regulation and can be applied by a tribunal in these circumstances notwithstanding the arbitration exclusion in Rome I.
Cross-border enforcement (including in all the current Member States of the EU) is effected pursuant to a multilateral agreement: the 1958 New York Convention on the Recognition and Enforcement of Foreign Arbitral Awards. The UK is a signatory to the New York Convention in its own right and provisions of the AA 1996 implement the Convention in UK law. Sections 101 and 102 AA 1996 provide that awards made in states that are a party to the New York Convention shall be recognised in the UK as binding on the parties and shall be enforceable by means of the mechanism set out at Section 66 AA 1996. The impact of Brexit on international arbitrations seated in England and London's position as a major international arbitration centre is likely to be minimal. The AA 1996 is a UK statute not dependent on or linked to the UK's EU membership. The New York Convention is a multilateral instrument not linked to the EU; the UK and the other Member States are signatories to the Convention in their own right. The European regime applicable to jurisdiction and enforcement expressly excludes arbitrations from its scope. Anti-suit injunctions to restrain proceedings in another Member State (or signatory to the Lugano Convention) have been prohibited since 2004, when the CJEU ruled that they were inconsistent with the scheme and provisions of the Brussels Convention (the predecessor of today's Recast Brussels Regulation). Under the Convention, the CJEU explained, the courts of Member States owe each other obligations of trust; it is not for the English court to seek to deprive another state's court of its right to decide whether or not to accept jurisdiction over a claim. That is properly a decision for the courts of each state to make in accordance with the requirements of the Convention. All other things being equal, when the UK ceases to be a member of the EU, decisions of the CJEU will cease to bind its courts. In theory, an English court could, where it had jurisdiction over a respondent, make an order restraining him from pursuing proceedings in a Member State where that would constitute a breach of some prior agreement. The UK has said it wishes to reach an agreement with the EU that substantially replicates the provisions of the European regime. It has also taken steps to accede in its own right to the Hague Convention on Choice of Court Agreements, and has signalled that it wishes to continue to participate in the Lugano Convention. Although it is unlikely that any new agreement with the EU would place the UK under the direct jurisdiction of the CJEU, the exercise of the anti-suit jurisdiction would nevertheless be inconsistent with case law and might conceivably place the UK in direct breach of whatever arrangement it negotiated with the EU. The English court's jurisdiction to grant an anti-suit injunction is exercised in personam; that is to say, it is not technically a direct interference with a foreign court's process, but rather a restraint on a person who is already within the English court's jurisdiction. Where that person is abroad, jurisdiction might be contingent on obtaining permission from the English court to serve that person outside England. It may be difficult to persuade a court to exercise its discretion to permit service out in circumstances where that could be perceived by an EU court as an unwarranted interference with its jurisdiction. In other words, principles of comity might take the place of formerly applicable CJEU jurisprudence. The regime governing cross-border enforcement of arbitral awards is not linked to the EU and will be unaffected by Brexit. 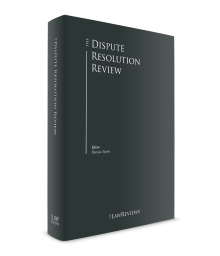 In some circumstances, arbitration could offer a more certain and more appropriate dispute resolution process. 2 That outcome could be avoided in only two ways: the UK and EU27 could agree to extend the two-year period mandated by Article 50; or the UK could abandon Brexit altogether by exercising its unilateral right to revoke the notice of intention to withdraw. The former possibility would not alter the analysis in this chapter of Brexit's effects albeit it would delay them. The latter possibility is not considered in this chapter, not least because it would produce no change in the legal status quo. 3 Section 6, European Union (Withdrawal) Act 2018. 4 Commerzbank AG v. Liquimar Tankers Management Inc  EWHC 161 (Comm) per Cranston J at . 5 A presentation to the Council's Article 50 Working Party on 27 November 2018 notes that Member States should assess the impact on pending cases and that the Commission will in any event update its November 2017 preparedness notice.